Biles is the sixth woman and second American in history to win back-to-back all-around titles in the World Championship. 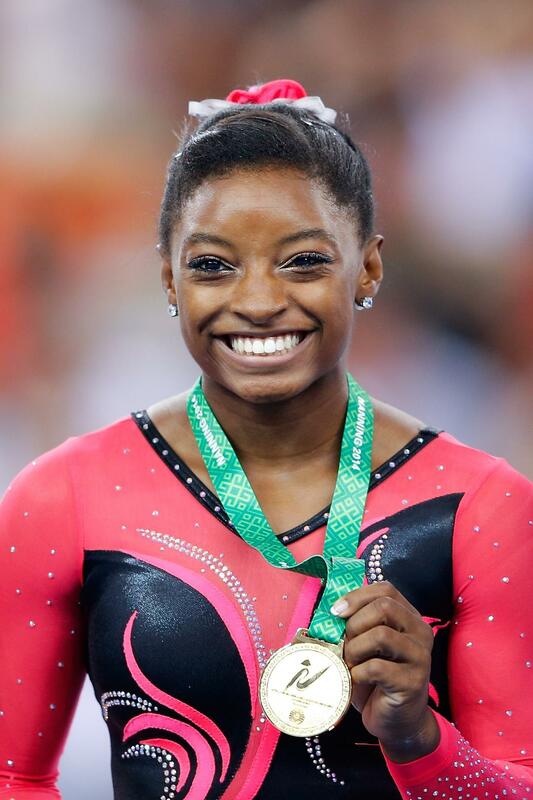 Simone Biles, 17, won her second title at the World Artistic Gymnastics Championship this weekend when she took the gold medal for Best All-Around. Biles is the sixth woman and second American in history to win back-to-back all-around titles in the World Championship. She finished the Championship with four medals overall. While standing on the podium to accept her All-Around god medal, Biles was scared off stage by a bee hiding in her bouquet of flowers. “I just don’t do bugs!” said the world champion gymnast who ran off and around the podium and dropped the bouquet to avoid the buzzing bug.